"Stand with your body upright. Now hold up your arms and start stretching out – one side at time. Now stretch back, now stretch up and stretch forward. Stand on your tippy toes and start reaching up and out. I invite you to do this two minute exercise every day and start to observe your thinking and your mood". So why did I ask her to do this? 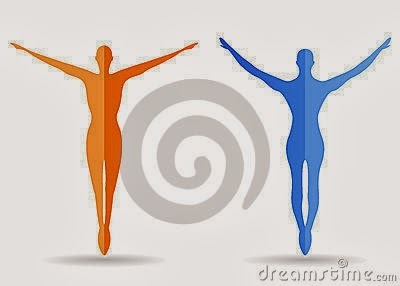 By moving your body you are able to move our thoughts and your emotions and moods. This practice is linked to the work of William James who is often referred to as the father of psychology. He was also known for the American philosophical approach called pragmatism and he developed a philosophy of the 'embodied mind'. James contended a general law that “no mental modification ever occurs that is not accompanied by a bodily change”. That is mental changes (i.e. shifts in thinking) inevitably involve a bodily change. So if you want a shift in how you think about a problem, situation or person, start by shifting your body. Let me take this one step further, James wrote that we are each a ‘mere walking bundle of habits’ and your habitual ways of thinking and behaving are expressions of mental attitudes incorporated in your bodily dispositions. So if you want to make changes you have to re-educate your body. In Sieler’s third book Coaching to the Human Soul Vol III, he says that what was clear for James was that the nervous system is constantly changing and therefore so is the dynamic mix of your sensations, feelings, thoughts and body. He highlighted the role of plasticity of the nervous system in habit formation and change and stated that ‘our nervous system grows to the modes in which it is exercised’. Then this very simple technique of physically expanding your body is a great start for you!